Hello Beautiful! 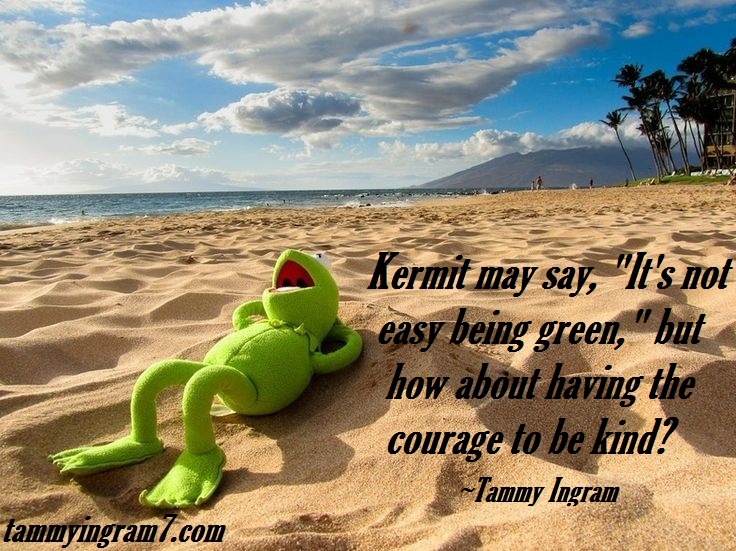 It’s that time again, it’s Tammy Tangent Tuesdays!!! I pray you are all reflecting upon the 49 blessings of gratitude that we get to hold onto each and every day as a gentle reminder of how blessed we are! We now have before our very own eyes our gratitude walls written by us to reflect upon and ponder on the many blessings we have related during last week’s challenge. That is a token worth holding in every pocket of our beating hearts to remind us just how blessed we are! Sometimes it’s easy to forget! Here’s the link to last week’s gratitude wall: http://wp.me/p5vQdf-CS. I can’t even begin to relate the gratitude and appreciation I have for all the amazing emails, spoken words of encouragement, and inspiration to continue in writing these communal outreach Tammy Tangent Tuesdays challenges! Talk about being grateful; I even need this encouragement! I know I have deviated somewhat from the community outreach aspect, but it’s obvious my obedience was a blessing. Phew…… We Beloveds get so depleted ourselves, it’s hard to pour into others when we need that extra grace required ourselves! It blesses me to know my wild tantrums and prayers are so receptive. We all have so much to be grateful for; sometimes it’s just buried beneath all the mud and muck of the messiness that our lives bring. This weekly challenge is going to require intent and strength, not to mention grace, to scurry up enough courage to be kind to everyone we cross paths with. 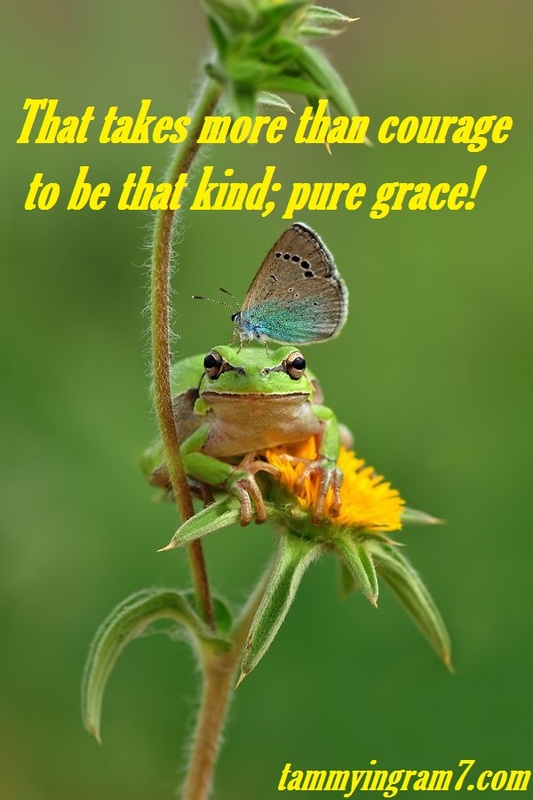 Kind of like the picture of the frog with the butterfly sitting atop its head; he would much rather eat the butterfly than extend kindness! And in the wake of the massacre last week in South Carolina, we have an amazing testimonial of faith and grace that the victims’ families extended and poured out into the killer that took the lives of their loved ones. I may be blessed with the gift of compassion and can love and forgive easy; but I can actually say to be able to relate forgiveness through love and kindness like they shared right away takes more than a beautiful soul, it takes a life built on, filled with, and immersed in constant communion and relationship with Jesus Christ. I want to love like that; don’t you? It is alleged that the killer stated he almost didn’t go through it because the people “were being so kind.” That should give us all enough incentive to start embracing everyone we meet in our communities with courage and kindness. This is the only way we are going to bring unity back into our communities. Simple acknowledgements of affirmation such as smiles, saying hello, hugs, and getting to know those who live in our communities are detrimental to bringing unity back. The victims’ families have stayed surrounded by community and love from others instead of going at it alone. They are uniting together which is why love is being poured out and not more evil. That’s how we tap into God’s love and sustaining power of the Great Comforter, the Holy Spirit, that Jesus promised would help us get through the tragedies of life (Ephesians 3:16-21). That’s the beauty of community and the purpose of the body of Christ! It’s going to take a delicate balance between prayer (meditation) and practice (action) in claiming the courage to be kind! Every new change and mindset requires courage. It’s hard to change the way we see ourselves and others and what we think, say or do. My favorite scripture regarding courage is to meditate on the wonderful words of wisdom written in Joshua 1:9 (NIV) that says: “…Be strong and courageous. Do not be terrified; do not be discouraged, for the Lord your God will be with you wherever you go.” It takes a lot of courage to change our mindset through meditation and action, but we need more kindness to make a change in our communities!!! Let’s start by being kind to others! I pray you have an amazing week, Beautiful, filled with love and the courage to be kind! Tammy Tangent Tuesdays – The Hot, Hot, Hot 3 C’s Girls Club!